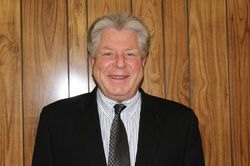 AFTER A SUCCESSFUL CAREER IN THE FINANCIAL SERVICES INDUSTRY, JOHN JOINED THE BAYONNE PUBLIC SCHOOLS DISTRICT. 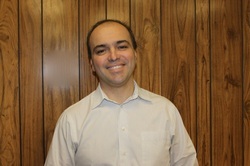 HE BEGAN HIS CAREER AS A TEACHER AT THE MIDTOWN COMMUNITY SCHOOL. DURING HIS TENURE AT MIDTOWN, JOHN WAS AN ACTIVE MEMBER OF THE FACULTY, WITH RESPONSIBILITY FOR SEVERAL EXTRA-CURRICULAR ACTIVITIES INCLUDING A STATE-COORDINATED STOCK MARKET GAME PROGRAM AND AN INTERNATIONALLY ACCLAIMED FUTURE PROBLEM SOLVING PROGRAM. JOHN TRANSFERRED TO BAYONNE HIGH SCHOOL IN 2003 WHERE HE IS A MEMBER OF THE SOCIAL STUDIES DEPARTMENT. HE TEACHES ECONOMICS AND A STATE-MANDATED PERSONAL FINANCIAL LITERACY COURSE. EACH YEAR, HE COMMITS A TEAM TO PARTICIPATE IN A RIGOROUS, TRI-STATE ECONOMICS COMPETITION -- THE FEDERAL RESERVE CHALLENGE COMPETITION. JOHN HAS BEEN SUCCESSFUL IN UTILIZING HIS BUSINESS EXPERIENCE AND DIVERSE TEACHING TECHNIQUES TO ENGAGE STUDENTS’ INTEREST IN LEARNING AND ENHANCE CRITICAL-THINKING AND PROBLEM-SOLVING SKILLS. JOHN IS A STRONG BELIEVER IN LIFE-LONG LEARNING, ENTHUSIASTICALLY EMBRACING OPPORTUNITIES FOR PERSONAL GROWTH AND PROFESSIONAL DEVELOPMENT. As DB Schenker Vice President, North American Sales, Tom Pelliccio is responsible for the strategic development of products and services to meet transportation needs of U.S. based companies. He is tasked with increasing market share within all vertical sectors by offering added value via his sales, marketing and support teams. 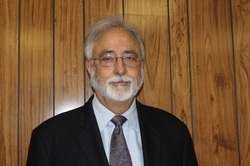 Mr. Pelliccio has 22 years of industry experience and has been with DB Schenker/BAX Global for the past Six. He joined BAX in 2005 as Director, Global Sales. In 2007, he was promoted to his present position as Vice President of Retail and Consumer Electronics. In July of 2010 he was promoted to his current position of Vice President North American Sales. He began his career as an account executive with Emery Worldwide in 1990. He was promoted to various sales positions while at Emery, including National Account Manager, Senior Global Account Manager and Senior Director, Global Sales in New York City and Northern New Jersey until he left in 2007. 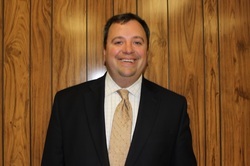 Mr. Pelliccio has a Bachelor’s Degree in Business Administration from Saint Peter’s College in New Jersey. He is a lifelong resident of Bayonne, New Jersey where he is very involved in the Bayonne Education Foundation. He has been a Trustee and is currently First Vice President of the foundation. Mr. Pelliccio is married and has three children. My education includes a BA in Special Education from NJCU, a MS in Education/Special Education from Fordham University, and a MA from NJCU in Educational Technology. I was a Resource Specialist in the Upper Saddle River, NJ School District for 341/2 years before retiring in June 2011. I have a daughter, Kaitlin, and a son, Nicholas as well as a Dachshund named Dexter. I enjoy working out at the gym, tennis, plays, and movies and the Jersey Shore. I am proud to be a member of the BEF and even prouder of their support of the Bayonne School District. Roseanne O'Brien started with the school system in Oct. 2003 after 22 years with Maidenform. 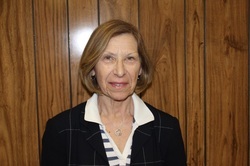 She began as a secretarial and teacher's aide substitute and then moved to Washington Community School where she worked as an office assistant for 2 1/2 years with Peter Anastas. Then, she worked as the House 5 Secretary for Leo Smith and then followed Mr. Smith to House 2. Following that, she spent 2 years as the House 6 Secretary for Keith Makowski. She now works as a 12 month secretary in the student Center with Patty Smith, Kevin Rice and Mary Lynn Galano. Patricia L. McGeehan, Ed.D., began her career in education as a teacher at the Lincoln Community School. She was principal of Mary J. Donohoe School, Roberson School and the Midtown Community School. In July 2000, she was appointed Superintendent of Schools, a position which she currently hold. Dr. McGeehan is a Bayonne resident, mother of three children and grandmother of ten. 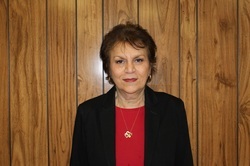 Phyllis is a life-long resident of Bayonne, graduated from local schools as well as Jersey City State College (NJCU) with a BA in education and MAs in student personnel services and administration and supervision. 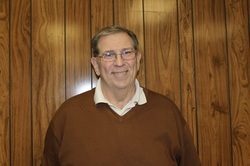 Retired as an administrator from the Elizabeth Board of Education. 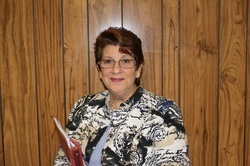 She served as former president and long time member of the Bayonne Board of Education, the Bayonne Education Foundation, and the Bayonne JCC. She also served as vice-chairman of the Bayonne Medical Center Foundation, was a founding member of The Simpson-Baber Foundation for the Autistic as well as a founding member of BCB Bank. Former vice-president of the Community Day Nursery, recipient of the NCCJ award, the JCC women’s leadership award and the Walter F. Robinson Community Award. 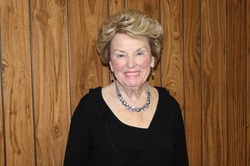 Phyllis, a Bayonne Committee woman, remains active on the BCDN Board and the American Council on Diversity. Married to Ted, mother of Shari Kay Berman and Gary and grandmother to Ethan, and Aidan, Jared, Ava Rose, Noah and Gavin. Mrs. Dawn Arrigo is a life long resident of Bayonne, graduated from Jersey City State College (NJCU) where she earned a Bachelor of Arts in Sociology and Elementary Education. Mrs. Arrigo has been teaching for seventeen years and currently holds a position as a second grade teacher with The Bayonne Board Of Education located in Bayonne, New Jersey. 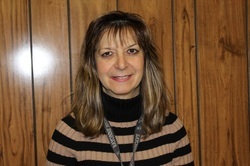 She has been involved with many different committees within her school such as: The Early Childhood, Science, Literacy, school coordinator for reading incentive programs and before/after school care, and Student of The Month. Paul Weeks was born and raised in Bayonne. 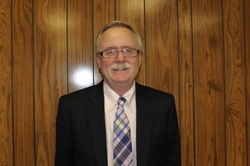 He attended Mary J. Donohoe grammar school and graduated from Bayonne High School in 1990. Paul enlisted int eh United States Marine Corp where he attained the rank of Non-Commissioned Officer, Corporal. After a successful four year tour, he received an honorable discharge from the Marine Corp. Paul then attended Rutgers University and in 1997 received a Bachelor of Arts Degree in Political Science with High Honors. Paul then attended Rutgers Law School where he graduated in 2000. Upon graduation from law school, he was law clerk to the Honorable Glenn A. Grant, Superior Court of New Jersey. He has been in private practice ever since and is a partner at the law firm of Raff & Masone, P.A., in Bayonne where he concentrates his practice on real estate and family law related matters. Paul and his wife Karen live in Bayonne and have three children who attend Horace Mann grammar school.